For competition related queries please contact Basketball England Game Delivery Manager Taner Adu on 07525 809 462 or by emailing Taner.Adu@basketballengland.co.uk. For content and coverage related queries please Basketball England Marketing Executive Barney Blake on 07525 809 459 or by emailing Barney.Blake@basketballengland.co.uk. For information about the talent pathway contact Basketball England Programme & Pathway Integration Manager Charlie Ford on 07904 029 125 or by emailing Charlie.Ford@basketballengland.co.uk. PREVIEW: City of London Academy face Charnwood College in WEABL Finals! Holly Winterburn and Megan Haines win WEABL MVP awards! 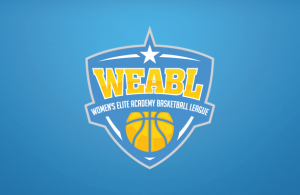 WEABL All-1st and All-2nd teams announced!